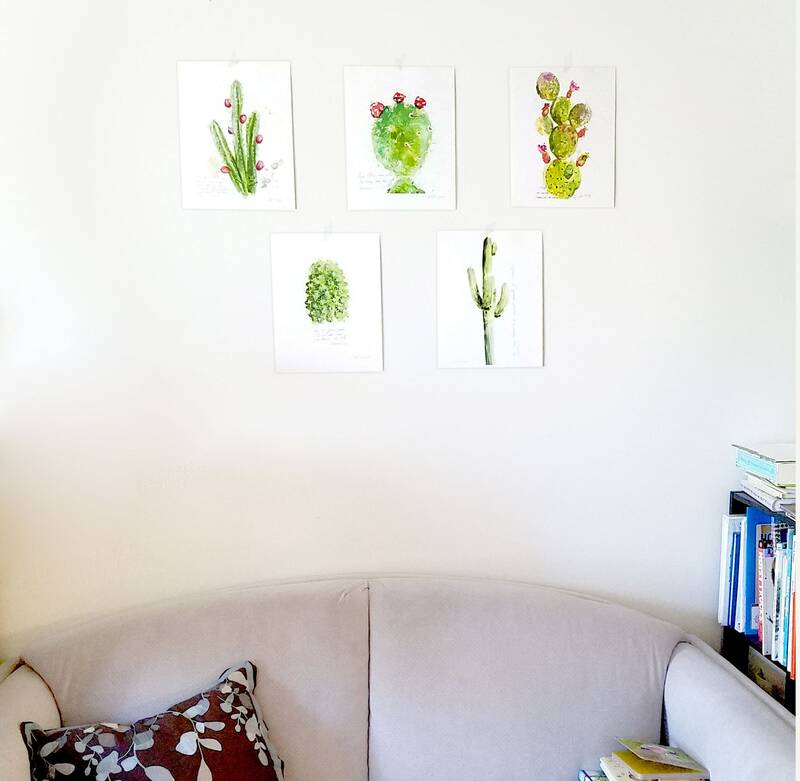 The beauty of succulents and cacti is amazingly inspiring. 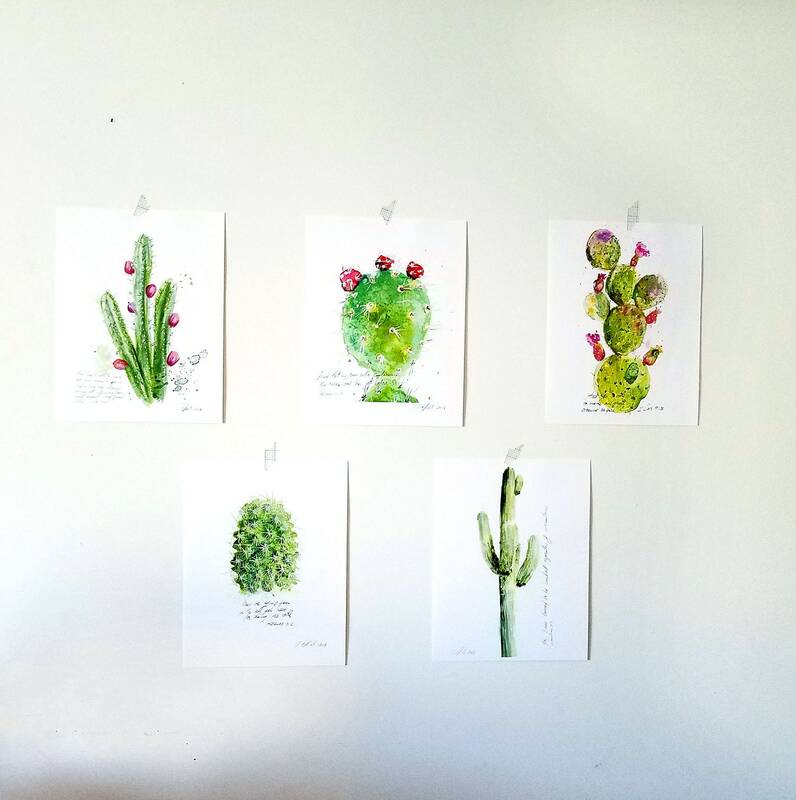 The cactus, like beautiful living sculptures, speak of functionality, adaptation, endurance and the beauty of all creation. Those spikes are there to give hope, protection and remind us of the beautiful merge of functionality, design and purpose. 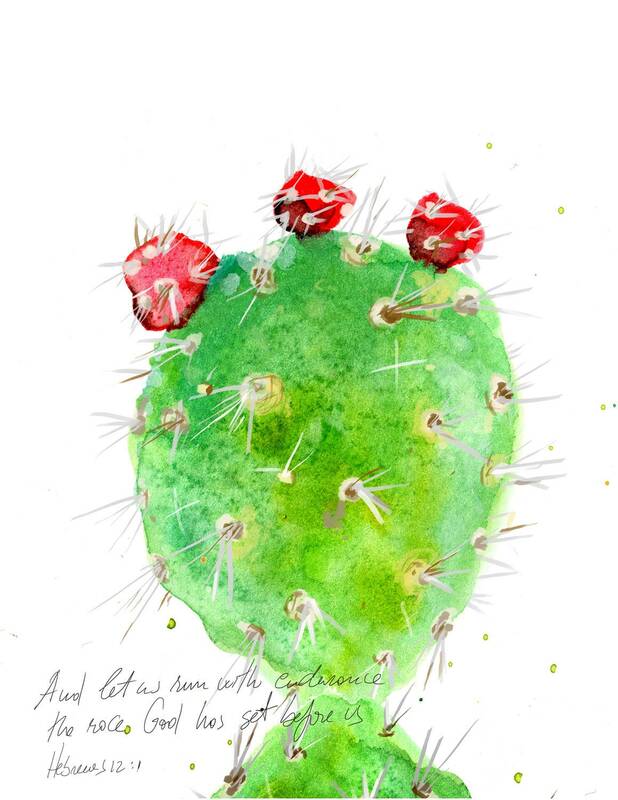 As a reminder, the verse from Hebrews 12:1 is handwritten under the cactus illustration: "And let us run with endurance the race God has set before us."